Since beginning his career in the financial services industry in 1992, Mark has spent the past 27 years devoted to helping clients meet their financial needs. 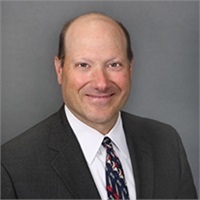 He has experience providing a wide array of financial services including investment planning and portfolio development, retirement planning, wealth management, and college planning. Mark graduated from New Hampshire College with a Bachelor's degree in business administration and finance. In 2009, he and Scott Dittrich co-founded 1776 Financial Services in Franklin. Mark’s focus is to optimize clients’ results while best meeting their individual goals and objectives based on their unique and diverse needs. Maintaining an active involvement in the community with charitable organizations is a priority for Mark. Mark donates his time and resources to local charities such as The Santa Foundation, Random Smile Project, and many other local charities with a focus on youth sports.